I noticed these solar panel's and they appear not to be held in place with a frame, as i have seen with other type's. 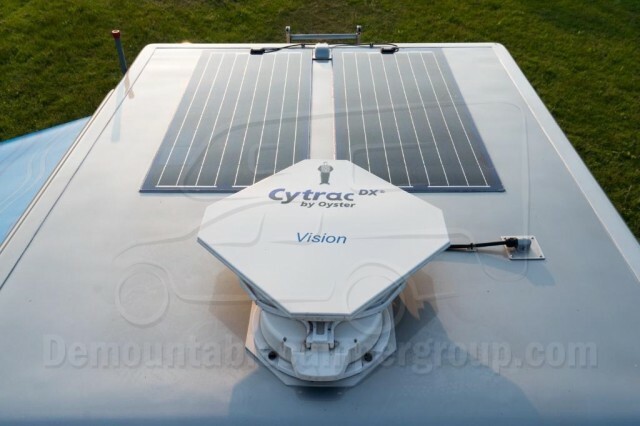 I'am interested in fitting a solar set-up on my De-mountable but know nothing about them or if it is something a DIY'er might be able to do or is it best to go to a supplier/fitter? You can get these flexible panels which can be bonded to a surface - the sort of thing you see fitted to ocean-going yachts. You would need to get the right adhesive, and I guess if they went wrong and you needed to replace them you would struggle once bonded to the roof. But then it means not having to drill holes in your precious camper roof (apart from for cables). A friend once also pointed out that solar panels are less efficient when they get hot, so having a panel mounted above the roof where there is free air space underneath may be an advantage (also acts like an old style Land Rover safari roof and keeps the camper roof cool). But that benefit is probably offset by the hardware, installation effort, weight, requirement to drill holes and affect on fuel efficiency of the type of panels I have that are on roof rails mounted clear of the roof. 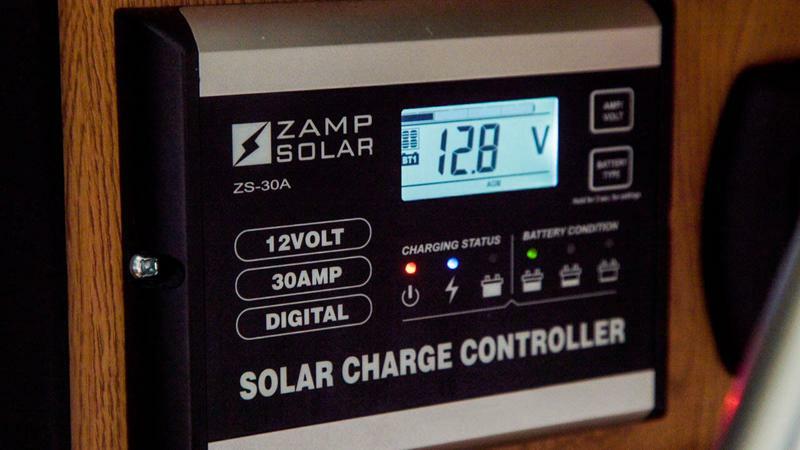 Whatever you do I recommend getting an MPPT solar controller. Use really thick cable despite the low current flow, since it will reduce resistive loss. Keep the cable runs as short as you practically can. Fit the solar controller close to the battery. I also recommend installing an isolator switch between the panels and the controller since if you need to maintain the system during daylight it will otherwise be difficult to isolate the power because you will have power coming from the panels during daylight. Thank you for the information. I will continue to research everything that you have suggested, trying to work out the pro's & con's of each type of solar panel & it's mounting as well as the different type's of MPPT solar controller. I wish to maintain the power in my single leisure battery & long term, run a compressor fridge, lighting & a 12v TV. Sounds like you have the same needs as me. I have a 140 litre compressor fridge and it is power hungry, and the camper has room for only 1 battery - I managed to fit a Rolls 105 AH AGM battery end-on - it was the biggest thing I could get in there. I have 160W of solar and a CTEK 20 amp combined DC-to-DC charger solar charger (D250S) for optimising charge from both alternator and solar, and a CTEK 10 amp mains charger in parallel. Then a Victron battery monitor so I can keep an eye on my batter usage. Both CTEK units are rated for AGM batteries. I had a spare AGM battery from my Jeep when I changed to a bigger one for winching, so I put that in a plastic box with a spare charger and a cheap 300w pure sine wave inverter and keep that in the back of the truck cab. So if I want to run stuff like laptops, electric fan, charging batteries, etc. and don't want to deplete the camper batter that needs to run the lights and fridge, I can run them off that spare battery. In retrospect, and if not replacing a built-in absoprtion fridge, I might have bought an Engel 60 litre compressor fridge. I've used them in vehicles in Africa to great success - because they are chest-style when you open the lid all the cold air stays put, and you can pack more in for their small capacity. My 140 litre upright fridge works well, but does use about 7 amps when the compressor runs. Thank you Steve for your system breakdown. I know that i'am at the other end of the scale when it comes to actual usage of my Demountable compared to you. I will only ever do 5 days at a time & only UK based. I'am really trying to decide if it is worth the effort/cost to fit a Solar based system. With my current single leisure battery & absorption fridge i manage ok but do run the voltage down. Eight years of use and still running my second 'wet' lead acid 110ah battery, never gone gone totally flat. My biggest frustration is the 6 degree angle when parked for the fridge to actually get cold. The other concern is the mounting of a frame to secure the panel or panels, i'm not keen on drilling any holes. I wonder if they make 'roofrack' type mountings and how secure in transit they might be. Either way, Thanks for the pointers. Thank you. Just not keen on putting holes in the roof. As Steve's Friend suggested, the 'flat on the roof' type are really the next best option and it is better for the panel to be raised with the air flow underneath. I have noticed this company has both glue only roof mounting brackets and appears to do starter kits using some of the items Steve has mentioned. This PWM controller seems to do what the MPPT controller does but is smaller and cheaper. Have i mis understood but do you have to have a MPPT? I have fitted a 40 watt panel to my teardrop trailer using fixing in the side walls. I have been learning by trial and error. More error than trial it seems. I agree an MPPT controller is best. My cheap Chinese one is nothing like as efficient. I have the solar panel wired into the controller as it should be. But, I put a battery cut off switch in the line from the controller to the battery. I found that if I isolated the battery without disconnecting the solar panel first, the system voltage rises to about 18 volts in bright sunlight. This blows the radio that needs a continuous live feed for the clock and memory. It could be my cheap controller although the solar panel manufacturers recommend connecting the battery before the solar panel. It took 3 radios to find that!! Now I isolate the panel before the battery.